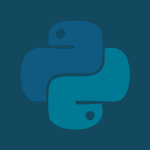 We continue to learn about how to use TkInter to create GUI interfaces with Python. We’ll learn about Tk Variables, Unbind, Styling Widgets, Menu Bars, Keyboard Shortcuts and a whole lot more. If you missed the 1st TkInter tutorial watch it first. All of the code and a transcript of the video follows the video below to help you learn. "This Awesome Program was Made in 2016"